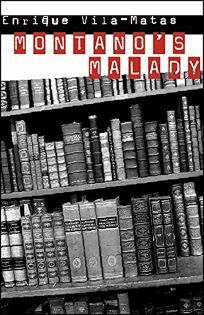 The specter of Borges hangs heavily over this inventive novel by Vila-Matas (Bartleby & Co.). The title refers to ""literature-sickness,"" an affliction suffered acutely by the narrator, a famous Spanish writer named Jose Cardoso Pires, who publishes under his mother's name, Rosario Girondo. The Borgesian tropes, doubles and doppelga;ngers multiply from there. Presented as pieces of a diary, the book's five parts include a ""nouvelle"" titled ""Montano's Malady""; a memoiristic account of the nouvelle's genesis; a biographical dictionary of the narrator's influences; diatribes at the perceived betrayals by his wife, Rosa; his friend, Tongoy; and by art. The entire novel is suffused with quotations and reflections on the diary form as an alternative to the fiction that the narrator (who travels frequently) is blocked from writing. The diary's fictionality pushes these claims into a narrative mise en-abyme, one from which the action never emerges. From the very first page, Vila-Matas embeds clauses as deeply as he embeds his characters' identities in hallucinatory sets of relations. While the exhaustion of this kind of metafiction is one of his themes, it doesn't save the book from its own devices.